Internet bots. We’ve all heard of them. Everyone recognises that they exist among us on the internet, stealing concert tickets, influencing political elections. But do we really understand what these bots actually are? Essentially, ‘bots’ are internet robots, a compilation of software instructed to creep across the internet and run automated tasks. Normally these bots manage tasks that are simple and repetitive, and they carry them out much at much at larger capacity and speed than any human could. 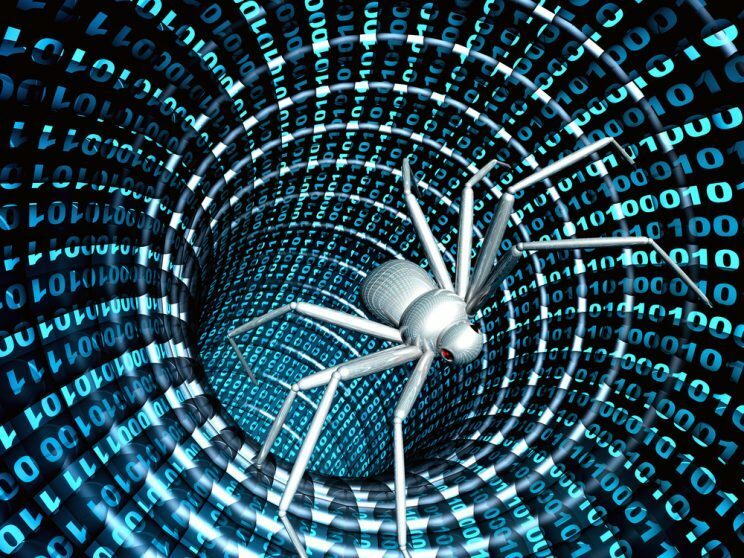 The main use of bots come in the form of web spiders, which are automated scripts sent to crawl out across the internet and collect, analyse and store information that might be useful to data miners. In fact, bots are now responsible for 52% of all internet traffic, according to a survey from security firm Radware. However, of these bots, there are good bots, bad bots and neutral bots. ‘Good bots’ can provide beneficial services to both companies and customers, through means such as virtual assistants, search engine indexing, and monitoring website performance. These can include search engine bots, commercial bots, feed fetchers and monitoring bots. Chat bots increase engagement of websites as they allow customers to communicate with companies without the need for a person, consequently allowing for 24/7, unlimited communication. Bots also allow marketers to optimise their search engines and ensure competitive pricing. Now ‘Bad bots’ are designed with malicious intent, performing automated attacks on websites and computers that cause damage to their victims. These types of bots are used by hackers, cybercriminals and fraudsters to carry out acts such as click fraud, viruses and worms, account takeovers, DDoS attacks, data theft (where they hack private information), etc. For example, there are notorious bots that buy up all the good seats for concerts only to sell them at higher prices. Some bots are used to increase views on Youtube videos, or to generate more followers on social media platforms. They are even used in online multiplayer games to harvest resources that would normally take lots of time and effort to gain, severely damaging the economy of online gaming. Spambots are used to spam lots of content onto websites, usually in the form of advertisements, often causing poor website performance. According to the annual Imperva Incapsula Bot Traffic Report, 94.2% of websites have experienced a bot-attack, while Radware has found that 45% of companies surveyed have experienced a data breach in the last year. ‘Neutral bots’ are inoffensive bots that search for public information without any interference on the websites they scrape. They only harvest data that is made public, so it’s already accessible by everyone anyway and doesn’t violate anyone’s privacy. These types of bots are usually run by responsible, experienced data miners who know how to politely extract any required data without having any effect on anyone or breaching any laws. These bots can be used by organisations to gain data that they can use to improve their company. They are even used to gather data to create maps, such as with Google Maps, to ensure accurate depictions of where all the places you might want to go are located. Neutral bots extract data without any effect on anyone, and are therefore harmless. We at the Data Group focus on ‘good’ and ‘neutral’ bots. We use bots in the form of web spiders to gather, analyse and store information deemed valuable to our clients. This information can be vital to their projects, such as looking at competitive pricing, or to predict upcoming changes in the market. Obviously we’re a little biased, but we really believe that not all bots are bad. While some of them are problematic, bots seem to be a big part of our future. With over half of the internet’s traffic coming from bots, it is expected that they – good, bad and neutral – will continue have the biggest impact on marketing.